How Do I Update My Existing Plan? You can upgrade your Zoom plan at any time. 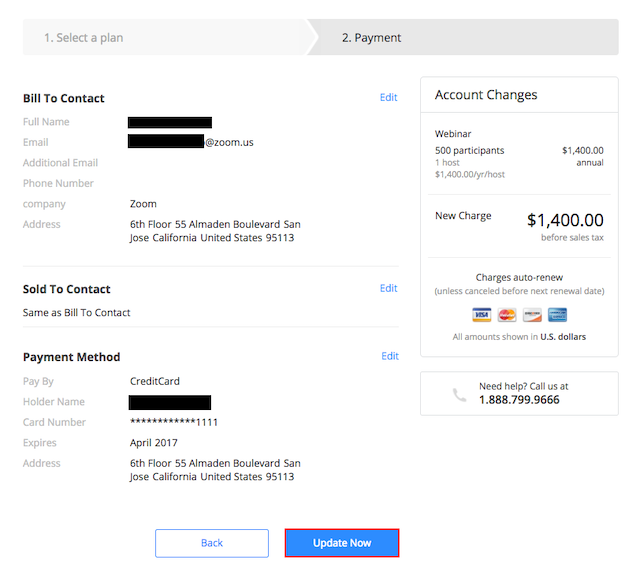 If you upgrade in the middle of the billing period, the account will be credited a pro-rated amount for the time remaining on your existing subscription and you will be charged for the upgrade with the credit applied. 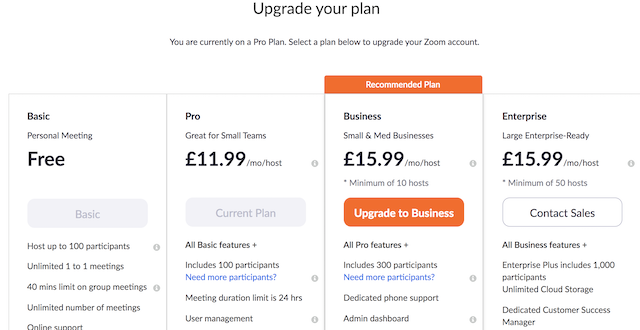 Through the Zoom web portal, you can upgrade from a Pro Plan to a Business Plan, or upgrade your add-ons. If you need to upgrade to an Enterprise plan, contact Zoom Sales. 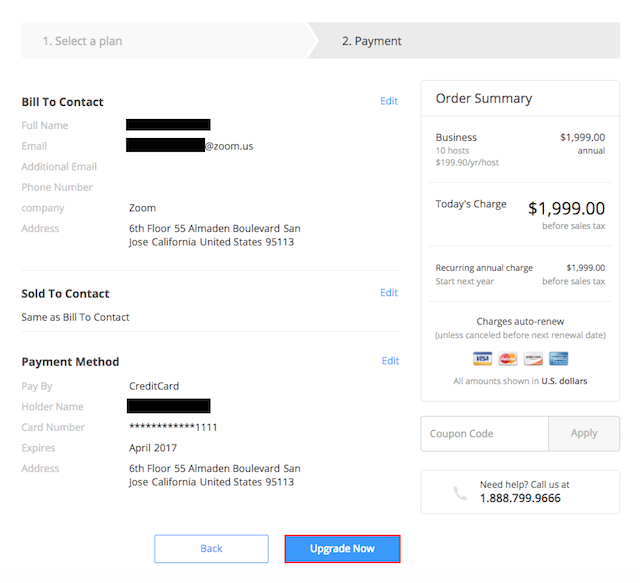 If you are adding users, Zoom will pro-rate the new user's price plan for the reminder of the payment period so that it will renew on the original payment cycle. 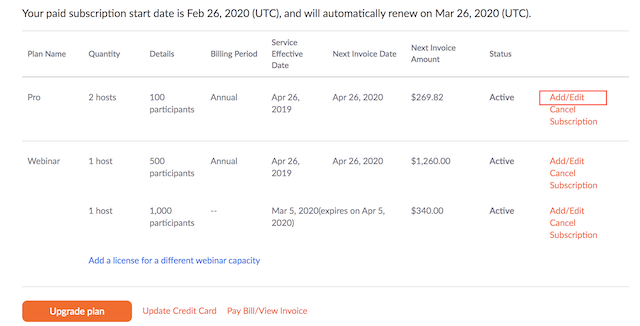 If you are removing users, Zoom will pro-rate the remaining time for the current payment period and apply a credit to your account to be used for the remaining users. 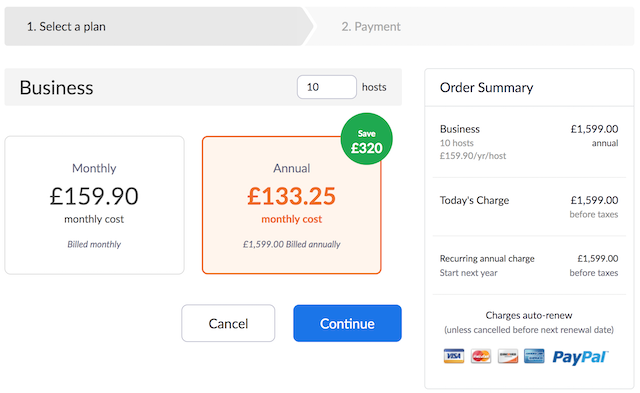 If you are changing from monthly to annual, Zoom will pro-rate the remaining time on your monthly subscription and credit it towards the annual pricing. 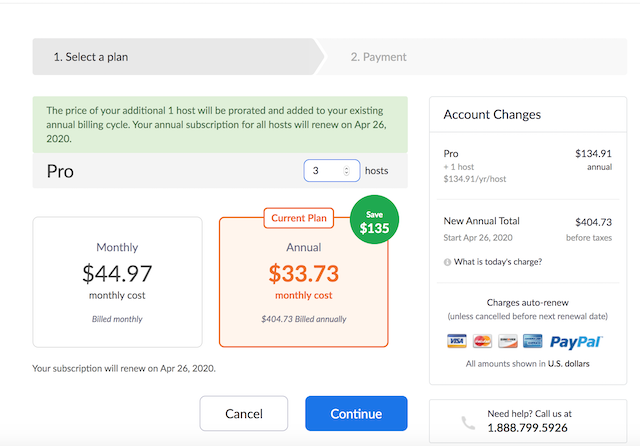 If you are changing from annual to monthly, Zoom will pro-rate the remaining time on your annual subscription and apply a credit into your account to be used for the monthly plan. On the Current Plan tab, select Upgrade Plan. If you need to upgrade to an Enterprise plan, contact Zoom Sales. 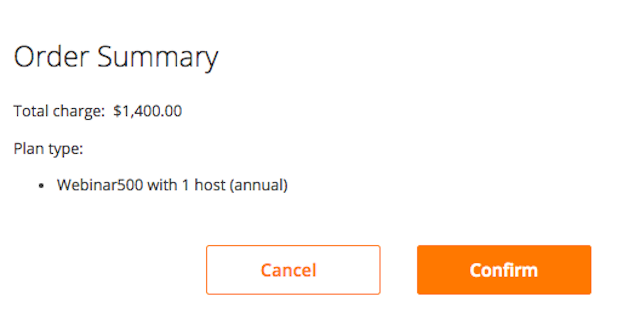 Enter the number of licenses you need and select whether you would like to pay monthly or annual. You will receive confirmation that your purchase was completed successfully. On the Current Plan tab, click Edit next to the plan you would like to update. Edit the plan. 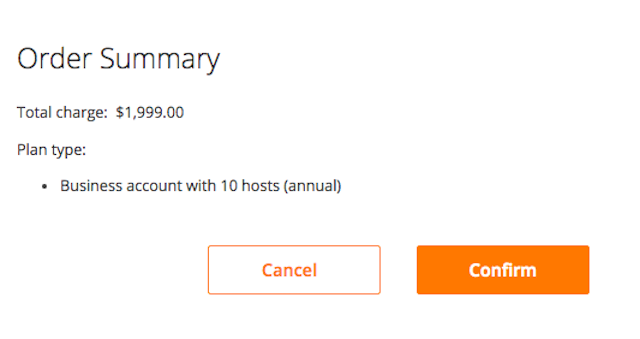 You can change the number of licenses, upgrade an add-on plan, or change the frequency of the billing cycle (monthly vs. annual). On the Current Plan tab, click Edit next to the add-on you would like to update.